Originally founded as the Agricultural College of the State of Michigan, Michigan State University is the seventh largest college in the country. Established in 1857, MSU is the first land-grant institution that was created to serve as a model for future land-grant colleges in the United States. Grand River Avenue is about the center of town and actually developed out of a 19th century plank road that connected Lansing to Detroit. You can still follow it, Rte 43 now, right into the heart of D-Town. But if you are interested in catching a game or heading down to the Motor City Casino in Detroit, give yourself about a hour and a half without traffic. This week they have an easy win over the Ohio State Buckeyes. Just because the game will be a boring blowout, doesn’t mean your weekend in East Lansing needs to be. Here are a few things to keep you busy. 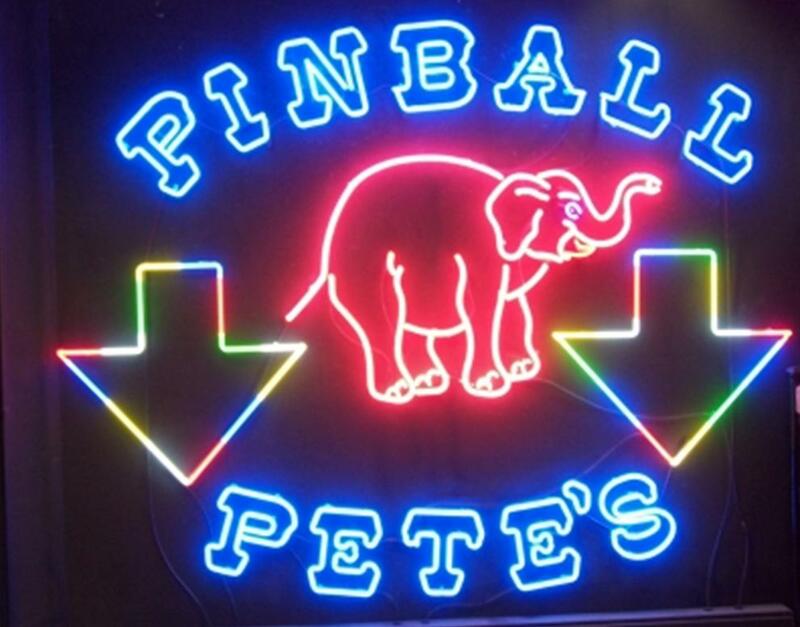 Established over 30 years ago, Pinball Pete’s is one of the last remaining arcades in the East Lansing Area. This is the old school, dark, dingy basement arcade that your mother has warned you about. They have a ton of games and pinball machines. Don’t forget about Skee-ball, basketball-shoot and pool tables, too. They are open from 12 p.m. to 1 a.m. every day and Friday and Saturday until 2 a.m. Opening in 1963, the Abrams Planetarium has seen more than a million visitors since then. They have a state of the art Digistar 5 Projector and they offer shows on Fridays and Saturdays at 8 p.m. (football game conflict show are canceled), and Sundays at 4 p.m. There is also a special show designed for families on Sundays at 2:30 p.m. They also give a free sky talk after each show, and after the night shows even take everyone outside to check out the night sky through provided telescopes, all for a whopping $4. You know that I always find a way to get a good craft beer drinking joint in here somewhere and Hopcat takes no prisoners. They have over 100 taps of beer. Yes, 100 taps and all of the beers are served in the appropriate glassware. Plus bottles and a full bar as well. The food is bar food that is hopped-up! (Did you see what I did there?) Go for the Sausage & Chipotle Munster Dip: Local Polish sausage on grilled Italian bread, topped with Old Becks mustard, & sauerkraut all served with a warm chipotle Munster cheese dip. Or if you wanna do as the locals do, get the Crack Fries. Yes, they are that addictive. This is technically in Lansing, just west of East Lansing (that makes sense), but is totally worth the trip. They offer three different boats with many different experiences. Whether you are just looking for a day tour on the river or going out for an all out dance party, these guys have it going. And it is a great value, too. For example, they are running an '80s retro cruise right now that includes a dinner buffet featuring BBQ ribs, assorted salads, honey baked cornbread, green beans, baked beans, dessert, coffee, and iced tea. The party runs for four hours, the cruise lasts three and the DJ plays the whole time with a cash bar available. Cost? $40. They have only been around since 2003, but boy have they made a statement. Home of the “DUB” (their grilled wrap sandwich) this is some tasty hangover food and don’t call this a burrito. There is a reason that these restaurants are next to college campuses. Just listen: The Blazer Dub: Chicken, Cheddar, mozzarella, jalapeno, banana pepper, BBQ sauce, and sour cream. Personally, I am going for the Fatty Dub: Chicken, steak, cheddar, potato, green pepper, onion, and sour cream. I got to have the chicken and the steak. It is just nice to know that they aren’t filling you up on rice and lettuce in that sandwich. 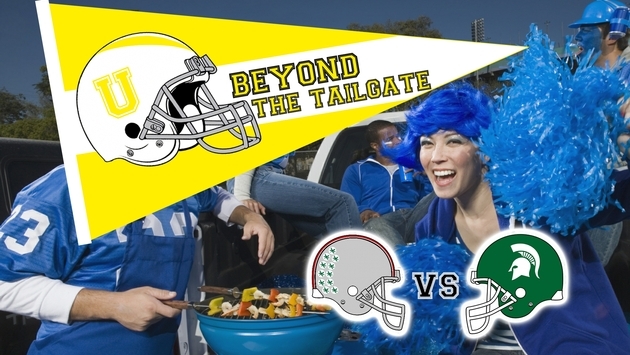 Alright East Lansing, we have you pegged: Beat Ohio State, go to Hopcat to celebrate, hit Menna’s the next day for breakfast/lunch and play pinball at Pete’s all afternoon Sunday. That sounds like a plan!